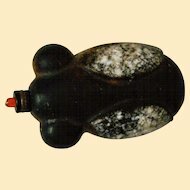 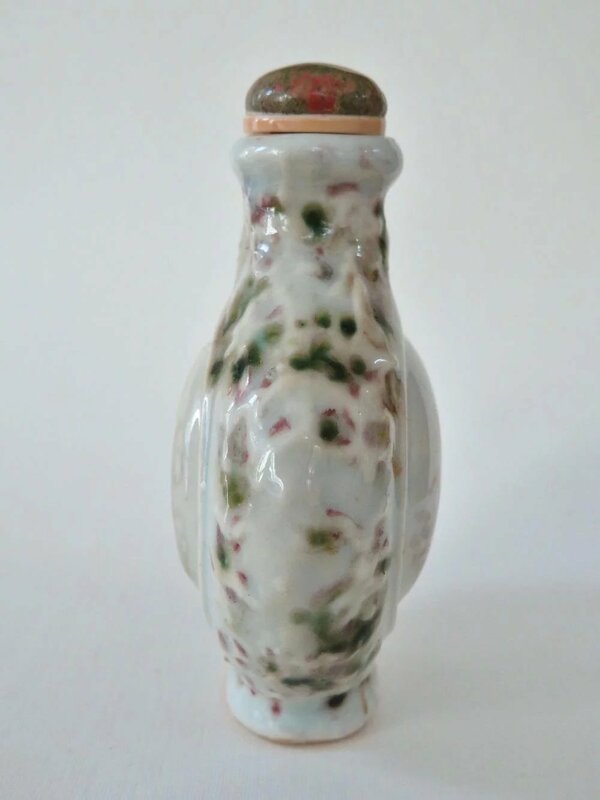 A 19th century provincial bottle with the rarest of marks. 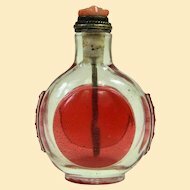 Thus mark is apocryphal, meaning it represents the period, but not the actual time of manufacture. 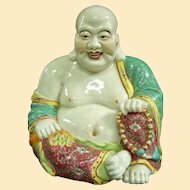 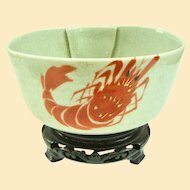 This is common in Chinese works of art. 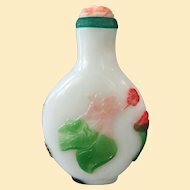 The period of the Qing dynasty of Emperor Shunzhi was 1643 to 1661. 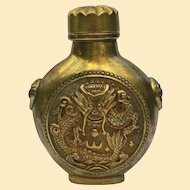 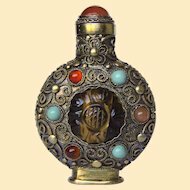 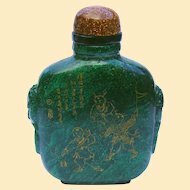 The very earliest snuff bottles appear from this period, and were made of bronze, and made for the imperial court. 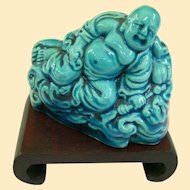 They are extremely rare to find in the marketplace. 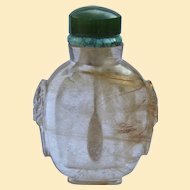 This snuff bottle bears the mark of this period, but because if the size, shape, and material, would have had to have been made later. 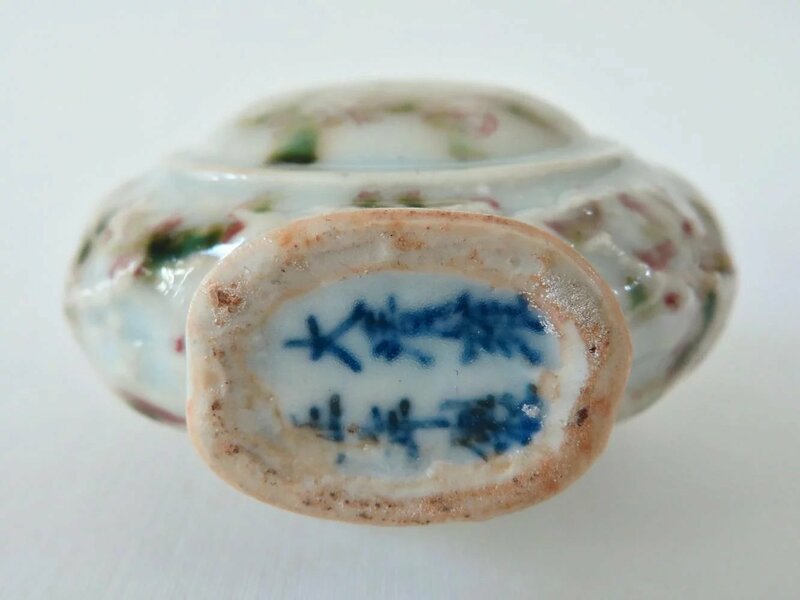 It is porcelain with underglaze decorations of foliage. 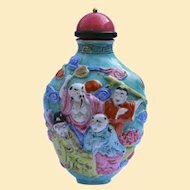 It is in a moon flask shape, and has the reign mark in underglaze blue on the bottom. 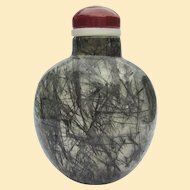 It is free of damage, and measures 3 inches (7.5) tall to the top of the stopper. 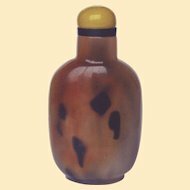 We estimate the bottle was actually made from 1800-1900, probably toward the older end if the scale. 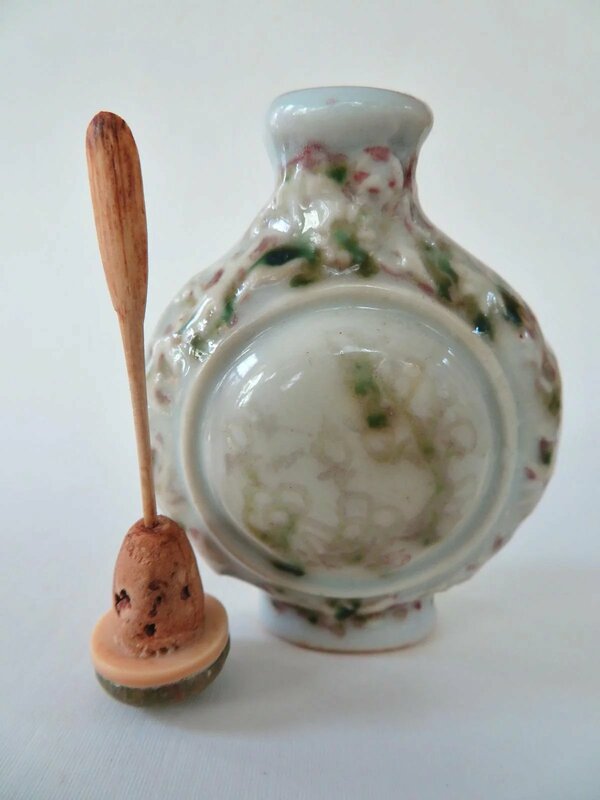 Jasper and shell top, cork stopper, and bamboo spoon. 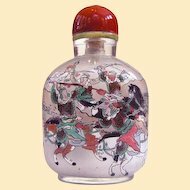 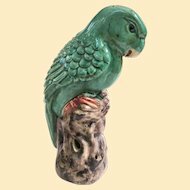 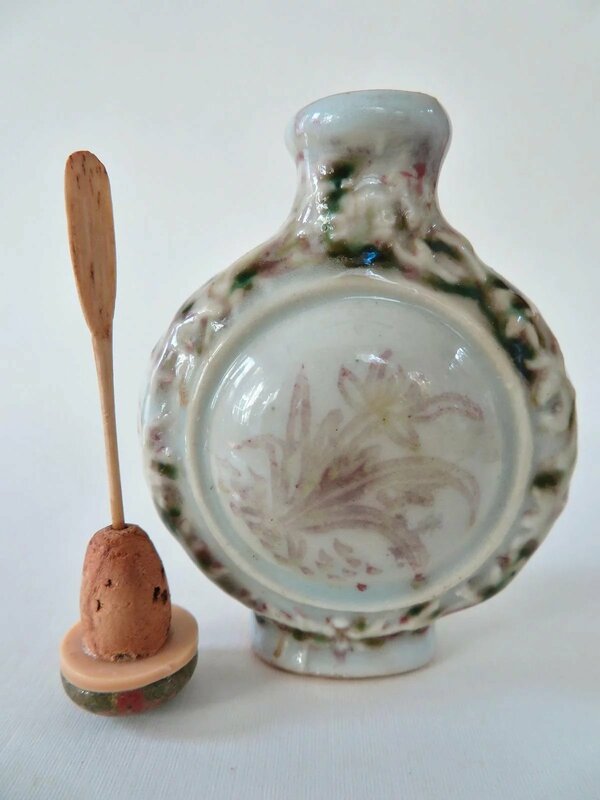 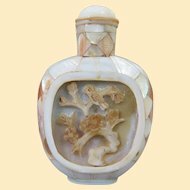 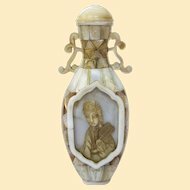 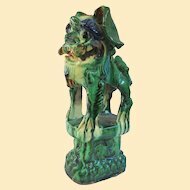 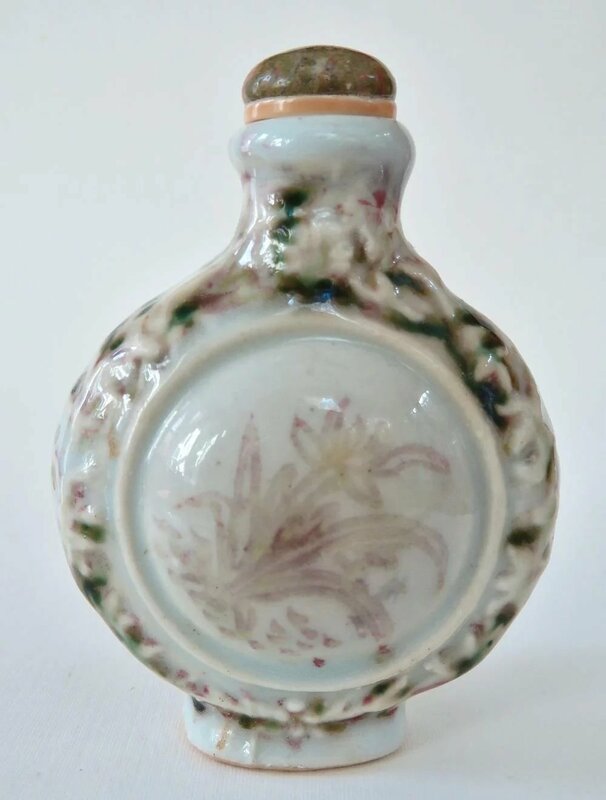 A must for the collector who wants a rare porcelain bottle.